Please CLICK HERE to download an entry form for the Autumn Meeting at Royal Ashdown. I hope very much that you will enter. Why not bring along a guest for the day? In order to encourage you, we are allowing a discount of £10 on the combined entry fees for any member playing with a guest. Guests who are potential members of the society are particularly welcome; to remind you, membership of the society is open to any OW, any teacher past or present, and any parent of a current schoolboy or OW. The meeting will be held on a Sunday, 7th September, starting at 10.30am, in the hope that this will enable those who work during the week to join us. We have 32 starting spaces available, playing singles stableford, probably in fourballs. This year we are playing the West course at Ashdown, and the winning member will be awarded the Autumn Cup, won last year by John Butler; guests qualify for other prizes but not the trophy. The entry fee is £45 which includes a three-course meal after the golf (probably around 3.30/4pm), and all prizes. Please note that payment by telephone or internet is preferred (using the account details on the form below) – please include the word ‘Ashdown/your name’ as the reference, if you choose this method for payment. Members of Royal Ashdown need only pay £20 as an entry fee, to cover the catering and prizes. 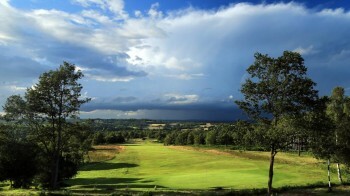 Royal Ashdown provides excellent golf and food, at a very reasonable price. The West course was voted “best course in England under 6000 yards” by Golf World last year. I look forward to hearing from you!